Oh Brother! Please, if you have time could you post this on my wall as I have no means to do so on this phone. I have been called CRAZY for years over saying just this! 2Thes 2:3/4 Let no man deceive you by any means: for (that day shall not come) except there come a falling away first, and that man of sin be revealed, the son of perdition: who opposeth and exalteth himself above all that is called God, or that is worshipped; so that he as God (or god) sitteth in the Temple of God , shewing HIMSELF (ego) that he is god.” that word “Temple” is Naos! The Temple the WE ARE! “know ye not that ye are the Naos of God?” not heiron the block building. The carnall egotistical mind! But “By passing through death He destroyed the one that had the power over death that is the EGO!” Amen! In Rev. God said He will kill Jesabel’s children WITH DEATH! Killing death WITH DEATH! The death of us in His Son! and, whose son are you and we all? from the stone? you/me/we are that son …………..ego is satan!! St. Thomas. Turn a leaf and I am there, lift a rock and you will find Me. I recently came across this article and I find your input quite interesting. So are you suggesting that the Day of Our Lord has occurred for some people? Thank you so much, Jacob for shareing the truth, They always come right when i need them. We do blame everything on the devil , and when these thoughts pop up into our head we say devil get out, when its our EGO, pride, fight or flight, ignorance, conseatness, we want to blame the devil, i quess it makes us feel like it gets us off the hook, easier to blame then to think its you/EGO doing it. Would say that the ego is the same as the flesh? I find what you have to say about the devil being the ego very intriguing. However, I don’t think we can say the flesh is the devil. The flesh is the temple which houses the spirit of God. The flesh is God’s good design which allows for Light to be perceived and honored through spiritual awareness. The Lord promises us eternal life, and Jesus rose from the dead (rebuilt the temple), because the Body is the pyramid for the Soul which is the eye of providence. 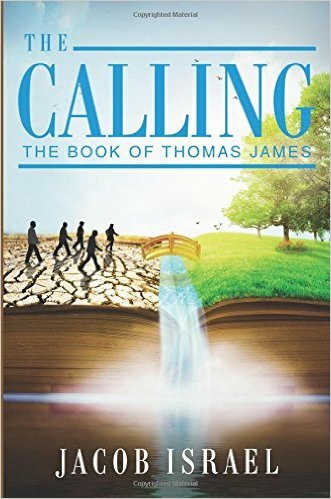 Jesus said ‘Ye are all gods’, and Moses relayed that we are made in God’s image because our free will gives us individuality in perceiving the Light of God. We have the ability to turn our eyes wherever we like, and only when our eyes cause us to sin should we gouge them out. I believe our eyes do this when we let our primal desires overtake our enlightened desires–and in this sense that would be putting the devil as precedence to God. We do not only feel physical pulls to sin, we feel physical pulls to avoid sin. We feel a physical gut feeling of uneasiness when we go to commit a sin such as stealing or committing adultery (varying in strength depending on how much we have strengthened or numbed that connection with God), and we also feel a physical feeling of pleasure in the sexual experience or in gaining something of value for free. So God guides us through our physical experience (and physical here would be including mental processes and any other experiences that factor into our decision-making as human beings) to become more like Him by naturally dwelling in us and helping us to focus on how we may improve. Our bodies are designed to improve with every decision, so in sinning we become better sinners and in righteousness it becomes easier to be righteous. God says sin leads to death and righteousness leads to life, so that must mean our sinful behavior is stagnation and steps away from our potential with God while our righteous behavior is steps towards reuniting with God face to face. John said 666, the devil’s number, is the number of man. It is the number representing perpetual toil with no rest. God’s number is 7 because he is able to enjoy his labor with his rest. So in sinning, man will make no improvement for he will live as a child of the devil, answering to his lesser desires and contaminating his place in God’s perfectly evolving nature further and further. We have all experienced this, and have felt guilt as a result. In answering to the body’s virtuous desires, we feel peace and gratification, even if the desires lead us into suffering, because we feel we are doing what the most advanced forces of our body want us to do. What it comes down to is that when we are contributing to the evolution of God through our free willed actions, we feel as such–joyful–no matter how much physical pain or pleasure it causes. Joy, peace, feeling as is if we are answering to the body’s call to be virtuous, are physical experiences far more evolved than those of feeling pain or pleasure through basic chemical releases. In a sense we are both children of God and the devil, but when God made man separate from the animals, he was telling us to be children of God. The Temple is the temple, and it will help us worship whoever we want to worship. Creating mankind to seek spiritual pleasure through virtue as opposed to chemical pleasure through animalistic behavior wasn’t enough to stop us from doing so, and that is why the Word had to become Flesh. God became a man and lived exactly as he was designed, and the result was Him being victimized, tortured, and killed. But by living as He was designed to live, entirely for the benefit of God’s perfect evolution, He was not subject to death by stagnation. Instead, He rose from the dead in a body made anew which does not operate with earthly biological desires but only with heavenly, virtuous desires. It is in this new Temple where the devil cannot exist that the Spirit of God resides. But what Jesus did was not hate the flesh nor hate the Self. He hated the devil and showed that He did by only answering to his human understanding of God’s will. In doing this, a lifelong task impossible for us without The Lord’s forgiveness, Jesus exalted the Self and now sits at the right hand of God. Christ lowered himself as low as possible for the forgiveness of sins, and it is only through Him that we can receive the eternal life of the living body because the only eternal living body possible is the body who conquered sin. And we are the body of Christ. Those who accept The Lord’s forgiveness by actively trying to live more like Christ are exalting their individual Self more and more, and the ultimate result of the super-personalization of each unique free-willed human consciousness is the unification of that consciousness with God in the resurrected body of Christ. Jesus Christ is the fullness of mankind, the summation of all the saved souls, an individual Himself and the Omega Point towards which we are all evolving. By being ‘born again’ into the Body of Christ, we are accepting that the Holy Spirit is the only pathway to Heaven, and by letting Christ live through us we may have faith that we will live forever in Heaven–One with God and yet Individual, each in our place of duty yet equally exalted. Is the ego the same as the flesh? Applaud, applaud. So refreshing to hear someone speak truth. Please tell me how you found an interpretation for Satan that people will listen to? Or should I say how did you translate this to ego though I know and hear what you are saying…………SELF is SATAN and all associated with the word self which you call ego. Thanks so much Greg, how are you doing? Jacob your essays bring freedom to my heart and mind I get so filled with joy when I read them.The Christ in us all is taking over the heart and mind. God’s Spirit recently revealed this to me as well and I thought is it really that simple? But I believe this to be true and I am so greatful for this article. Thank you so much! When I say this to people they tell me, “no the devil is real!” and I think to me myself, “Yes the real Ego of Mankind”. People are only used to learning of Satan in one form. Changing the conditioned form in which you see him, recognize him, and experience him does not make him any less real. Yes he is real; Real Ego! Thank You!!! Isn’t it awesome how the truth comes to us and then we find others there to confirm it. Continue to be bold and be a light, this world needs the truth of unconditional love and needs to learn to discern between the voice of God and the voice of the ego. The devil is an alive entity. The Bible days he walks about the earth like a roaring lion seeking whom he may devour….and there is a real place of torture, hell -as we call it-, made for that devil and his angels…. To believe in Satan would be contradicting your faith in God. Believing in God means you believe in one uncreated being – the Universe. If God is the only uncreated being, it cannot have an opposite like Satan. Philosophically speaking, if God represents all things good and pure, then there cannot be another being that is the opposite—all things evil and wicked. If you strip away all elements of good from a being, such as intelligence, energy, memory and matter you are left with nothing. The natural beauty and utility of the world is vast and varied. The grandeur and strength of the universe is boundless and enduring. Nature is Deity, thinking in visible thoughts of beauty and power, and speaking in visible tones of life, motion and harmony. All things in nature combine beauty with utility and while full of change are constant and enduring. The same electric laws, force and substance which gives luminous brilliancy to countless suns, and paints the aurora and the rainbow the rosy hues of dawn and the crimson glories of sunset, give color to the ruddy cheeks of youth, and red corpuscle to the arterial blood that brings health and strength to human forms. These same electric laws, force and substance hold their sceptre of power through all the universe. Under electric law atoms and molecules embrace each other and evolve visible forms of life; and suns glow with warmth and light, and keep their appointed distances in the circling mazes of the sky. And by the grasp of electric energy these life-giving suns carry their family of life-bearing worlds upon their mysterious voyage through the realms of measureless space. All nature is a visible expression of Omnipotent[Pg 247] Deity, all the universe is a symbol of creative power and wisdom which is boundless and enduring, and proclaims that our world, the sun and the universe are eternal and enduring. The question of the continued existence of our solar system is a fascinating subject to most of our astronomers; they seem never to be weary of looking forward to a time when the light of the sun will expire with age, or it will be destroyed by some great catastrophe. I have no such apprehensions. First, because in the six or eight thousand years of human history on this planet there is no record of any sun or star being blotted out, or any planet being destroyed. The sun, stars and planets are substantially the same as they were when Babylon flourished, when Abraham was a sun worshiper, and when the angels sang on the plains of Bethlehem. As far as human knowledge and science goes, not a single star has faded from the glittering hosts of night’s jewelled crown. Second, because the same electric force that started suns and planets on their grand velocities and fixed their orbits is not only an attracting force, but also a repelling force of marvelous power. And while suns and planets attract each other they also repel each other, and make each keep their respective distance under the law of electro-magnetism by which opposite poles attract and like poles repel each other. If you place the opposite poles of a horseshoe magnet together they will attract each other and cling together until a superior force overcomes their mutual attraction; but if you reverse them and put their like poles together, they will not cling together, but will repulse each other. In chemistry molecules of opposite polarity unite, and this is called chemical affinity; molecules of like polarity will not unite, and this is called chemical repulsion. Magnets attract only when their poles are reversed, or when they are oppositely electrified, and suns and planets do the same. The sun as the great central magnet, or electric generator, has the power both to attract and to repel. The planets are kept in their orbits by both the sun’s attraction and its repulsion. In the summer, when the earth gets four millions of miles nearer the sun, there is a repelling force from the sun that sends it off again, or it would continue to approach the sun until it would fall into his spacious bosom. No law of gravitation or balancing force of planets could do this. The centrifugal force of electric repulsion in the sun does for the earth what all the balancing force of the planets could not do if they were all swung in the circling orbit of Mars. The sun, by this electric propelling force, throws off the comets which approach it. This is proven by scientific records in many instances for centuries. By this same propelling force the sun holds off the swift leaden planet Mercury. By this same electric repulsion the planets prevent their moons from falling back onto their surfaces. These moons are the same material and electric composition as the worlds from which they come, and, as like polarity repels, they are thus kept in their orbits. There are estimated to be eighteen to one hundred millions of suns in this universe. Can any one believe they are kept in their places by a mere balancing force? They are held by electrical repulsion as well as by[Pg 249] electrical attraction. There may also be belts or zones of ether with the proper electrical vibration or condition in the orbit of each planet and satellite which hold them with giant grasp in their allotted places. And every sun system may have its own peculiar electricity, which has a repulsion for all other systems and holds each in its proper place. All these things are possible and probable under the theory of electrical creation. As twenty-eight currents of electricity can pass over the same wire at the same time, fourteen each way, how many kinds of electric currents may the universe possess? May not each planet have its own peculiar current, and its own peculiar attracting power, and the sun give each a different electricity? While each sun system, with its revolving planets, is held together by mutual electric attraction, the eighteen millions of sun systems are prevented from coming in collision with each other by the law of electric repulsion. This would prevent any one system from trespassing upon the domain or territory of another, and permit each and all to move freely among themselves and change places without danger of trespass or collision. In case of too near an approach to each other the law of repulsion would drive them off. This would avoid the necessity of a central sun, which probably does not exist or it would be visible. If all these systems were positively magnetized or all negatively magnetized they would repel each other. This law of electrical repulsion would increase the nearer these systems approached each other, and this increasing power would send them[Pg 250] further away, and forever prevent discord and collision. This is why there is no discord in the fields of heaven and harmony reigns triumphant. Electric repulsion is all that prevents these almost infinite sun systems from coming into conflict with one another, and ending in aggregate and ruinous collision, and reducing the universe to a heterogeneous mass of discordant spheres. No law of gravitation could prevent such a wreck and ruin of the universe. On the contrary, the size and weight of every sun and star that floats in the broad expanse of ether would under the law of gravity tend to bring about just such a universal catastrophe. If the boasted law of gravitation prevailed to-day, or ever did prevail, such would be the disastrous results. The law of gravitation tends to aggregate all bodies into one. If the universe was under the dominion of gravity there would be but one vast globe in all the universe, and if there was a man on it there would be but one enormous giant. Newton’s law of gravitation is “large bodies attract small ones.” If that is true, then all small bodies would fly into the arms of the larger ones, and the process would continue until the largest body had them all, and there would be no smaller ones to attract. This is a fair analysis of the law of gravitation. As to the rule that matter and worlds “attract each other inversely to the square of the distance,” that rule could not exist but for the law of electric repulsion. That rule is very near the law by which matter falls towards the sun by electric attraction. But it is not the law of orbital energy by which planets are kept out of the sun. Neither is it the[Pg 251] law by which satellites are kept from falling into the planets around which they revolve. The weight that falls to the earth by attraction may be lifted by dynamic repulsion. Therefore the law of repulsion is as necessary as the law of attraction. Gravitation ignores the laws of repulsion. With gravity only all spheres would fall together in a common ruin; with repulsion only they would dissolve into ether; and both of these forces, normally active and balanced, are necessary to preserve the universe. Therefore, I contend that our earth, the solar system and the universe is self-sustaining and eternal in duration, because of the ever-active omnipotent force of electrical repulsion in sun systems, in suns and planets and their satellites. Our wise astronomers for two centuries have bestowed upon so-called gravitation all the divine attributes, and thrown around it the halo of a worshiped divinity; and ignored its twin brother and dual force, repulsion. This was excusable before the discovery of electricity and its marvelous forces as a new causation. But since then it seems the blind folly of stupid conservativism that would cling to old traditions and antiquated authority. They recognized the law of repulsion in matter, in gases, in gunpowder, in volcanoes, in steam, in dynamite, in perfumery, in everything in the earth, but denied its operation in the sun and planets, and sidereal space. This ever-active omnipotent force of electric repulsion keeps all sun systems from coming together or trespassing upon each other’s vast domains. There is electrical repulsion as a great barrier [Pg 252]between them to hold them apart. Why? Because they have like polarities or become alike electrified as they approach each other. This without any other reason is sufficient to forever prevent collisions between the sun systems of the universe. Electrical repulsion keeps our earth and the planets from falling into the sun. Why? Because our earth and the planets, when they approach within a certain distance of the sun, may become similarly electrified to the sun, and are thrown back to their proper and balanced orbit. Electrical repulsion keeps all satellites from falling into their primary planets. Why? Because they have like polarities, and are positive or negative like their primaries, and repulse each other. Thus each and all the suns, planets and satellites continue in their orbits of balanced forces, and will always continue and are as eternal as the laws of electro-magnetism that created and upholds the universe. The same law applies to comets. Why does the comet, when it approaches just so near to the sun, dart away so quickly? Because it becomes alike electrified as the sun, and the law of repulsion strikes it like the blow of a mammoth triphammer and hurls it in the opposite direction. This is one reason; there may be others, for the laws of repulsion are as many and various as the laws of attraction. The latest display of dismal and excessive fancy on this subject is from the prolific pen of our most eminent and worthy astronomer, Prof. Simon Newcomb. It is to be found in McClure’s Magazine of May, 1903, which I have just read, entitled “The End of the World.” It is a well written, imaginative story or article, embracing his theory or hypothesis of the cause and manner of the world’s destruction. I admire his scholarly style, his great learning, and splendid fancy, and if I believed in the scientific theories and traditions which he champions with such an able pen, I should say it was a masterly presentation of what would occur in sun and earth at some indefinite future time. But as I have discarded the old scientific traditions I cannot accept his theories or his fancy picture. It is too dismal for my optimistic conception of what has occurred or what will occur in this vast and mighty universe. He is a worthy successor of Newton and La Place, for he has a vigorous imagination, which easily scans the future and presents what I deem antiquated theories, sustained by traditional facts. Each person lives in a different world and sees a different universe, according to his knowledge and imagination. The universe Ptolemy saw was different from that of Copernicus, and Newton’s different from both, so my conception of the universe is different from that of Prof. Newcomb’s. Imagination is a creature of education and converts knowledge into utility, and reasons from the known to the unknown, and[Pg 254] is the telescope of futurity and the microscope of past centuries. This is nobly and truly said, for all progress is heralded by theorization; which is an intelligible explanation of things, and serves to relate cause and effect. It distinguishes the human being from the animal, the civilized from the savage, the wise and learned from the ignorant and foolish. Herbert Spencer said, “In the formation of a theory we have the highest condition of the human mind.” And Holder, in his life of Darwin, says, “Darwin was greater than others, because he had the genius of scientific hypothesis.” Therefore I am proud of Prof. Newcomb’s hypothesis of the cause and manner of the death of the solar system, though I do not accept his theory or his conclusions. I am glad he is not one of those scientists, who said in the New[Pg 255] York Journal not long ago, that the only thing of value to science was the tabulation of facts. The mere tabulation of facts would be of as little value to the world without causation, theory and hypothesis, as the Egyptian hieroglyphics before the discovery of the Rosetta Stone. Let us see what the learned astronomer, Prof. Newcomb, says. He projects himself into the future and starts out by imagining that from the central observatory in the Himalayas, “Mars is signalling a dark star.” This, he says, was after “the world had long been dull and stagnant.” Now, I protest that this world will never become dull and stagnant, nor any part of this electric universe, but all will go on steadily progressing to more perfect conditions. Here is where our theories clash on the first sentence. Now I cannot accept this as a true picture of our earth at any time in its future, or the hypothesis of human stagnation as possible or probable. I do not regard the world’s peace, and perfected [Pg 256]machinery, and “blue coats with gilt buttons and white neckties with red borders,” as evidence of dullness and stagnation. And I cannot believe the newspapers, whose proverbial energy is perennial, will ever get to the low ebb of stagnation he describes. But to the more important points. Three thousand years before this time messages had been successfully interchanged with the inhabitants of Mars, and now this message of “a dark star” arrives from Mars, which excites the astronomers, and later the people, until the whole world is in a frenzy of terror, apprehension and despair, watching this terrible star, which continued to increase. Then a professor in physics sees the dangerous possibility of its collision with the sun, and has an immense vault, which had been previously built for scientific experiments, a hundred feet under ground, stored with provisions, etc. In this safe retreat he hides himself and his assistants when the dark star strikes the sun, and the fearful conflagration of the sun and earth occurs. And when the sun and earth were burned up by the collision of the dark star with the sun, they, like Noah and his family, were saved from the general destruction. The description of the melting of the houses, stones and all combustible material on the surface of the earth, the anguish and despair of the thronging [Pg 257]multitudes, and the destruction of the great city of Hatten, built on the ruins of the old city of Neeork, would duplicate the horrors of Dante’s “Inferno.” The illustrations are equally horrible and terrific, and both are calculated to shock the mind of the reader and retard mental composure and æsthetic culture. He states, in the words of the professor, his theory, thus: “My theory is that if one of these dark objects chances to strike a star it bursts through its outer envelope and sets free the enormous fires pent up within.” These pent-up fires within the sun, he claims, are going to blaze up more furious and be the cause of this dread catastrophe of ruin and death to the sun and planets. With all respect to this eminent astronomer, I insist, first, there are no pent-up fires in the sun. Second, no dark or light star, planet or globe can ever fall into the sun, because the law of electric repulsion in the sun will send it off, as it does the comets, in an opposite direction; besides this same law of electric repulsion will forbid any such object from coming into the solar system. He says this dark star, many times the size of our earth, striking the sun, would destroy it and our earth and planetary system by fire. All life and combustible material, including stones and the surface of the sun and planets, he insists, would be utterly consumed by the heat engendered by such a collision. Now, I contend, in the first place, that such an event is virtually impossible; and if it were possible, a star of many times the size of our earth, coming in collision with the sun, would make little more impression on it than a dozen hogsheads of dynamite thrown against the surface of the moon. [Pg 258] Both would do great local damage to the spot and vicinity where they struck, but neither would produce any great general disturbance and injury to these orbs. Many times the size of the earth would mean naturally something like a dozen times the size of the earth. Let us estimate the general result by comparison. The sun is one million three hundred thousand times larger than the earth. It is so large that if we could drop our earth into the center of the sun, our moon, which is two hundred and forty thousand miles from us, would only be about half way to the circumference or outer rim of the sun. Now, a star many times the size of our earth, striking the surface of the sun, would create great heat by the compact, and great distraction in the locality where it struck; and would likely imbed itself in the sun, like large meteors do on the earth, and become a good sized mountain on the sun’s surface. It would not increase the electric currents or radiation, of the sun sufficient to melt the snow on the mountains of the tropics or set fire to a haystack on the earth. Its effect on the earth would not be excessive in temperature, and would be very temporary. For my theory is that the sun sends only such currents of electricity to the earth as the earth draws and demands by its opposite polarity. Only a great sun a thousand or a million times larger than our earth would make any great impression on the sun in case of a collision; and then it would not result in its destruction, or that of the earth and planets. Its size and power would be increased, but that would not necessarily increase the heat of the planets, if, as I contend, the[Pg 259] sun could only send them the electric currents the planets draw by reason of their opposite polarity; just as a receiving station of wireless telegraphy receives only the electric currents intended for it because of the peculiar attracting power it possesses. I am aware that the recent flaring out in light, and increase in size of the star Nova Persei in the constellation of Perseus, has given plausibility to the conjecture of some astronomers that it was caused by a collision between two suns. But I think the better opinion is that this star is a new sun, partly nebulous and in its formative state; and that it was visited by a great cloud or swarm of meteors, which produced the great illumination which flared out into space for a few days and then subsided. Its former small size, to which it has returned, and its present nebulous condition, or the nebulæ that surrounds it, seems to fully justify this conclusion. I do not believe there ever has been or ever will be a collision among the suns or planets. The wisdom of the Creator, as manifested in the great universal laws of electro-magnetism, forbid it. If such a catastrophe was likely ever to occur, it would have happened many times since the history of the race began, and we would have had many undoubted demonstrations of the direful uncertainty of the life of the suns and planets and the varying chances and unstable condition of the universe. This is the present accepted scientific theory. But is it right? According to my conception, it is not. The sun is not growing old, or cold, or feeble, nor can it “sink into exhaustion.” Nature, on this earth, under electric law and process, is ever renewing herself. And it is the same in all suns and planets. Nature’s curriculum of eternal processes is continuous change and evolution. Her processes of renewal and purification are so perfect here on earth, that our most luscious fruits and vegetables, and our most beautiful and fragrant flowers come from the rank manure of the farmer’s stable. The fertilizers of our soil are the decayed excrement of bird and beast and the most loathsome decaying elements; yet, through nature’s evolving and purifying process they become wheat and corn, plant, vegetable and flower, and our most wholesome, acceptable and nutritious food; and if we live many years in the same neighborhood we eat the same food over and over many times, and the cattle and all living creatures do the same thing. The atoms that compose our bodies have been used over and over again many times. They have been in the bodies of millions of men and animals,[Pg 261] plants and vegetables before we used them, and will be in millions of bodies yet uncreated. They have been tossed by winds, hurled and threshed about by tornadoes and cyclones, drowned in the sea, and buried in the earth and often digested by other animals before they came to rest under balanced electric forces in our bodies. Every atom in our bodies have been to the sun and back billions of times and will be again. They have been renewed by the electric currents of the sun, by the energy of the soil, by the electro-magnetic ether of space, and are as eternal as law and destiny. In like manner, the elements of the sun are constantly being renewed and invigorated, and he has an area of six billions of miles in diameter from which to draw virgin atoms, and like a great sea of inexhaustible force, it is the fountain from which he receives his measureless power and indestructible life and energy. For he is the central dynamo and electric heart of the solar system, and with his family of planets is floating in a boundless sea of electro-magnetism that has no limit of life and energy. The sun may send a different kind of wireless electricity to each of the planets, and each of the planets may return a different kind of electricity to the sun. Thus these electric currents may pass and repass between sun and planets and be re-energized and used over and over again, just as the atoms of our bodies and all earthly molecules are used over and over again. Thus the sun constantly renews and invigorates himself and all the elements of the solar system, and can never come into “a state of exhaustion,” as so graphically described. But this vast electric universe is stable, enduring, self-sustaining and eternal; and no law or act of conflict among its millions of suns and planets has ever been discovered, or is likely ever to be, the conjectures and sophisticated prognostications of pessimistic scientists to the contrary notwithstanding. Can any reasoning, common thinker, aside from the scientists, after viewing our moon swinging around our earth, as it has done for thousands of years, only 240,000 miles from us, without approaching a mile nearer the earth in all that time, believe there is any danger of a collision between them? The law that holds them apart thousands and millions of years will continue to do so; and their collision is virtually a matter of impossibility until the electric laws of the universe are abrogated. Can any one believe that the little leaden planet Mercury that has been swinging so close around our enormous sun—only thirty millions of miles from it—for millions of years could keep its constant orbit unless there was an irresistible law, as omnipotent and changeless as Deity, that has and will forever keep it from falling into the sun. Look at the planet of Mars with two satellites, of Jupiter with six, and Saturn with eight, flying swiftly around their primaries, all only a few thousand miles from their surface, and some of them going in different directions—could any balancing force, any law of gravitation, keep them from falling into their primaries? Every one of them is a contradiction of the law of gravity, and puts the stamp of falsity on all its claims. But they all show there is a law which defies so-called gravity and is a correlative force, and that[Pg 263] is the law of electric repulsion; and it is the cosmic force which, with electric attraction, has built the universe as a vast electric machine, and they will forever preserve its integrity and existence, and the sun, earth and universe are eternal. The world moves; knowledge increases, and science is gradually broadening her conception of the harmony and endurance of the universe. The theory of dead matter and blind force has been relegated to the obsolete and discarded past, and been replaced by the recognition of ever-present life and infinite grades of consciousness. The vast and varied factors in nature’s problems of eternal destiny point to our sun and earth as a present existing and unending reality. Nature builds up, tears down, and reproduces her organic forms on the surface of planetary globes, but she does not destroy her great sun magnets and world magnets in the same manner, as many of our scientists think. There is a great difference in the powers and functions of suns and planets and the creeping things on their surfaces. Suns and planets, after they have attained their matured and balanced powers, are immortal, and creating, enduring and perfected organisms; and, like man in his immortal spirit, they have attained to eternal life, and neither death nor ruin can ever come near them. Suns and worlds in their electric energy have the powers of creation, and as the creator is always superior to the created, they should not be judged alike. Therefore the changing and transitory nature of many things on the earth’s surface is no proof that such will be the earth’s destiny. On the contrary, every ligament of force and power in this electric universe is[Pg 264] pledged to secure the continued and endless duration of our sun and solar system, including our earth. And timorous humanity should no longer shrink in horror at its prospective wreck and ruin. May the truth prevail and man’s mind be freed from the horrors, of an anticipated destruction of the sun and earth, and the optimistic joy of imperishable life and love here, and in the all-glorious sun hereafter brighten the terrestrial existence of humanity. All hail! thou life-giving sun! Thou wandering orb of luminous sod! Thou blazing banner of the mighty God! As He doth the wanderer. And a lesson of truth shall all things give. That was an amazing Post my friend, I will try hard to follow your advice even though at times I find it very hard to love everyone. Although I am a very forgiving person and I try to be positive all the time, I find that there are way more negative people out there in the world today. I know that I have to fight with my ego at times, I’m definitely trying though, God Bless you and your family Jacob and may he always keep you safe in his everlasting love. Surprisingly Henry I am far from the man many people think me to be. Even so-called friends of mine have condemned me to being some kind of egomaniac who thinks he knows it all and thinks he is god. Henry, I began this journey because I wanted to learn more about life and I wanted to be free from hating my life. AND IT WORKED! This blog brings me a great amount of joy and has also come at a small cost, like my job, and some friends who think I am a bit of a lunatic. But then there are some who are really blessed by what is written, something clicks with them and that makes me feel so good. Now if that is a crime than I am guilty as charged, but I believe that the people pointing fingers at someone who shares freely are the ones who to look again at why they do so. Peace Henry and thank you for sharing. Thanks for your response..but i was asking a yes or no question in which you didnt reply. Instead of a simple yes or no you typed a looong response exlaining yourself and almost sounding defensive. Egoless people have nothing to defend or protect. I’ve been reading your site for about 2 weeks now. This is the first article that I read. I seriously was “led” here. Don’t even ask me how I got here, and it’s not really important. As I am learning that a lot of the “Details” aren’t my problem. God is in Control. Let’s just say, You’ve been peeking in my windows!!! LOL Everything that I have been reading, here, has just been confirmation for What God has already been showing me. Just expanding on it. 🙂 Yes, I went through the same “Religious” thing. Yes, I got to the place of surrender and threw it all out and dared to ask God to teach me all over again, no matter the cost. I could go on and on and on. I just wanted to thank you for taking the time to write your essays and to “Share” them. They truly have been a “Blessing” to me in every sense of the word. I also like your wacky sense of humor! I look forward to reading more. I just wanted to take the time to Thank you and let you know that you are making a difference! You have a great day too Laurie! First, THANK YOU for writing this. I agree with the assertions you’ve Jacob. Here’s my dilemma: how do we get the rest of humanity to see how evil the ego truly is? Though it may have been unintentional society is something that caters to our egos. You can’t turn on the TV, walk into a store or get on the internet without seeing something that is ego-driven. People have known for a long time that the ego is what is holding humanity back from spiritual growth – books have been written about it, a successful movie was done on it (with big name stars), blogs have been written about it – you name it and it’s been done – but there has been no mass change. And you’re writing from a Christian standpoint – I’m here to tell you that if you read between the lines most of the major religions agree with the fact that the ego is evil. But how do we exist in society without ego when the ego is required to be in society? Even religion – which is supposed to be about love, unity, and spiritual growth – has organized itself to be a part of society and therefore is subject to the evils of ego. I know that we must free ourselves before we can free others but the ego has turned society into a sort of prison; how do we get the whole world to see this? I have always loved what you write even though I find it a little bit hard to apply them or live them in harmony with all the other beliefs through the history of the Church. Truly enjoy the blog ! im having a hard time relating hasatan in the book of Job to the ego though..
Hello Jacob. I am just reading A Course In Miracles. Jesus speaking via the author says the Ego ‘is completely savage and completely insane. Foe the ego remembers everything that you have done that has offended it and seeks retribution of you.’. In other places in the book Jesus tells you straight up that the ego hates you and wants you dead! But it goes about this so sneakily to avoid it’s agenda coming to light. The serpent in the beginning was desire or lust whichever both or of the same and what was the first thing Eve heard? Don’t eat of the tree of knowledge of good and evil or you will surely die. and desire said or ego surely you won’t die but God know you will become as gods and when Eve seen in the tree it was to be desired to make one wise she ate of it and gave to Adam also. God then said who told you that you were naked did you eat of that tree??? what did Eve see Look Good Taste Good and Felt Good the 3 things in the world lust of the flesh the lust of the eyes and the pride of life. 2 Male and female created he them; and blessed them, and called their name Adam, in the day when they were created. “Note” he called there name Adam singular. and Jesus said there is nothing that can enter a man from without for what go in the mouth go out the drought only thing that can defile you is what come out of the heart of the mind. therefore if Eve ate from a fruit of a tree outside of the body it would have went out the drought. do you understand the truth? If ego is Satan then the fall was really about man falling from heaven, i.e the personal connection with God. We then fell from a higher resonance to a lower one. As quantum physics has proven all matter is an illusion based on conscious vibrational energy. God spoke (vibrational waves) everything into existence. Our thoughts have created this present world system of sin death and decay. Kyle, I do believe you are on to something 😉 great insight man and thanks! The ancients used metaphors to tell a story with the intention of conveying the truth via allegory. This should not surprise anyone because in ancient times many cultures had under developed means of written/verbal communication. This in and of itself is not an indictment of the intellect of the ancients but rather just a fact. I would even venture to say that in terms of intellect the ancients, even without the technology and means to communicate, were actually of a much higher intelligence. We can clearly see this in ancient architecture that today we can not reproduce. Also, where Christian fundamentalist get it wrong is from their interpretation of the word infallible in regards to scripture. They wrongly assume that literal = infallible which is not the case. Infallible means: incapable of making mistakes or being wrong. In the case of God and his word that is a 100% accurate statement. Unfortunately Fundamentalist fail to grasp that because something is infallible does not mean it is literal. Unfortunately the gap can not be discerned because of religious conditioning. When you take a literal view God is reduced to an imbecilic caricature of an old man with a white beard who let a snake talk to his creation in a large vegetable garden surrounded by pets. On the other hand when you put the scriptures in their proper perspective God becomes this immensely wonderful supreme spirit and Lord. He becomes profoundly loving, intelligent, and complex. Furthermore, with the advancement in quantum physics we now have a greater understanding of God’s omnipresence, omniscience, and omnipotence. Physicist have discovered that the further they break down matter they discover that solidity is merely a mirage and is being “created” by what can only be described as God. Our reality is not what is really real but rather our consciousness is what is real. Solomon in the book of ecclesiastes correctly stated that, “all is vapor”. Vapor you say! I thought he said vanity? The actual and best translation is vapor and not vanity. The Hebrew term hebel, translated vanity or vain, refers concretely to a mist or vapor. As such we begin to understand that our perception of reality is not what we think. Only when we remove the ego or satan can we see the truth. Therefore, Satan (our ego) is the ruler of this world. Many blindly follow him (Satan our ego) which is why we have all the problems today. Wars, disease, murder, lying, etc is clearly of the devil. However, we need not seek him in some burning dungeon or under a bed late at night but rather he regularly appears and can be clearly seen every morning in your bathroom mirror. 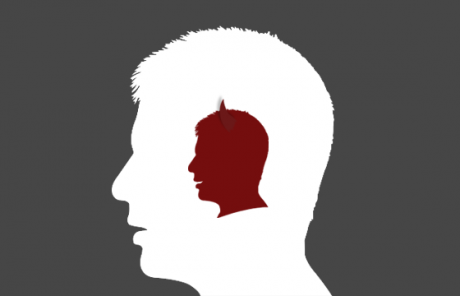 Interesitng article “Man’s Ego is The Devil.” I learned about the ego at my church (Unity Church of Practical Christianity) while attending “A Course in Miracles” class. The ego made more sense than believing a so called “devil” that is out there. Thank you very much, Jacob, I WILL turn on YOUR LIGHT to the ” RED RACE” people the ones that are the Care Takers of ” MOTHER EARTH” here in America, I fellow the ” RED ROAD” , however I WILl incorporate your ” Words” into our world, THANK YOU again , so what I understand is that according to the Black Book , ( Bible) GOD represents ” LOVE” and the word Divel means ” EGO” that’s makes sense , keep it simple like that because Jacob your wording the Divels Lanuage , it was invented in ENGLISH , It is very misleading , Shakesphere invented 1700. Words alone, and maybe that’s Good, because the EGO lives within us and so does his words, just like LOVE ( GOD” ) Lives within us , and so too his ” WORD” that’s the only thing besides our naked body , that we came onto this world. Jacob. blessing…. Hi Jacob, you are God sent! It is true that the Spirit guides us into all truth!! I was raised Christian and my spirit was rejecting the fear and hell and all that stuff I was raised to believe in, I decided to try the world out for myself . When it drained me to the point of surrender, God poured out his love, his spirit on me. And from that day, I knew there was no hell and I finally knew his true character. Oh how religion has twisted it so badly! I searched and searched the internet and scripture to find that He loves us all so much, hell mindset is from the evil man who COULD picture torturing and burning people alive. How diabolical to invent a vengeful, angry god in our image. Every time I try to share this with other Christians, they call me crazy, shun me, and tell me I’m not hearing god I’m hearing the devil. They tell me I’m prideful for believing I hear God. Although at times i do think I am going crazy which is fine! Ha..I know that I am not alone so thank you! It just saddens me more than anything for people who think they see but are so so blind. I’m excited to further read your articles! I read something about you saying that Jesus Christ should not be worshipped, and that’s something Ive been questioning for a while. Since my conversion, I felt as if the word “Jesus Christ” has been so abused and misused by Christians, I feel almost weird, fake, or religious talking about him publicly. Is that wrong? Is that of God? All I know is that love, joy, unity, one mind and one spirit is what drives me and that’s what I hold onto dearly. I thinmk there is a lot of truth to this. But my question is, there is no Devil, only Man’s Ego. How about God? Is there no God, only man’s conscience? Hello Jacob. Your post is spot on. We all need to free ourselves from the ego-dominated mind and get in complete union with God. God is the silence, stillness and pure consciousness. We all are it. We only forgot and have been consumed by our egos. The way to connect to our True Self is to not identify with the ego. We must observe the ego and our thoughts but NOT resist them. That which we resist, persists. We need to focus on God. What we focus on grows. Good luck to all. I can’t say amen enough times Tim! I am healed,all these years thought i had a problem,God is good all the times,nothing is impossible with him.My eyes are opened,i was blind,i can hear, i was deaf.My ego was the devil in me.I am willing to change my Lord in Jesus Name.I feel the huge load removed from my shoulders.My past will never be my life again. Th Ego is definitely our fallen nature inherited by sin/satan, “we are sold under sin”. Our enemy/adversary works on this weakness to our destruction that is why we need the holy spirit so we can withstand the wiles/weapons of our adversary, the one who wanted to be the most High who originally rebelled and enticed/deceive others to rebel as well. The Lord Jesus was never enticed. He was tempted/tried but NEVER enticed as it’s the enticement that become sin and “He knew NO sin”. We must count it all joy when we are tempted because this is to prove us. Our Ego/Flesh/Carnal is food for our adversary, “and you shall eat dust all the days of your life”. That is why “whomever (not whatever) you yield yourself servant to obey that is whose servant you are”. What you are saying makes sense but is not scripturally correct. Actually, it does line up with scripture. Dig deeper. I have other essays on here that make it more clear. This truth just came to me the other night – so strong that I stopped what I was doing and wrote it down – that being the fact that the Ego is Satan. That just as Jesus taught “the kingdom of God is within you” . . . the kingdom of Satan is within you too – and it’s the EGO ! And of course it’s always our choice whom we will serve. To serve God – we create our own heaven here in this mortal life. By the same token, to choose to serve the Ego we create our own hell. How many times have we seen this over the years unfold in our own lives?? I googled my insight to see what would come up and I got your blog – I love it ! Love your article. I’ve been thinking about this subject for a while. The bible is full of metaphors and I believe people take them literally. This article has really helped me. It has helped me stop smoking. I could tell the cravings come from the mind and your article taught me it is the reptillian part of my brain craving a cigarette and to deny that ole devil. The cravings were rather Strong but this knowledge defeated it! It has also taught me to deny defeating, condemning negative thoughts that hinder and depress because it is just useless, pointless garbage! Hey buddy…..I want to write the following in a way I won’t feed your EGO: Thank you LORD for your teaching THROUGH whoever wrote the former article !!!!!!. And whoever wrote it, I am very thankful for your service in GOD. May God bless you exceedingly in blessings for what you’ve shared us. BR. You all should read Ego is the Enemy and Control Your Ego. I listened to them on Amazon audible and oh my god did the light go off in my head. A question for the author – Do you believe there is a Satan besides man’s Ego???? I also wrote a book called “The only Truth revealed”.I know that one can only know the only Truth through a revelation by the Holy Ghost.The Holy Ghost is now busy to reveal the Truth to a few individuals who worship God in Spirit and in Truth.I know we are just a few now,but we will grow in numbers with time.I also know that these spiritual warriors prayers are bringing down the lies and power of the Ego(carnal mind)because they are in total agreement with with Gods Truth.I also know that it is very difficult for the people to belief the Truth that the carnal mind(Ego) is the devil.These warriors know the Truth that we are all one with God and inseparable from Him.